I’m a loyal Food Network and Cooking Channel viewer. And by loyal viewer, I mean a complete junky that spends Saturday mornings flipping between the two to get my fix. Honestly, I used to watch it every night until Comcast intervened, and decided I shouldn’t have that channel in my bedroom anymore. You win this battle nemesis. Anyway, I love Nigella Lawson’s voice, and the way she describes food as pure poetry. I love Claire Robinson, and the way she makes everything feel like fun in the kitchen. But most of all, I want to be Giada de Laurentiis when I grow up. She seems like a normal person in addition to being an incredibly accomplished and clever chef. She focuses on simple flavors and recipes that impress without a zillion steps. Basically if Giada writes it, you can guarantee its delicious. 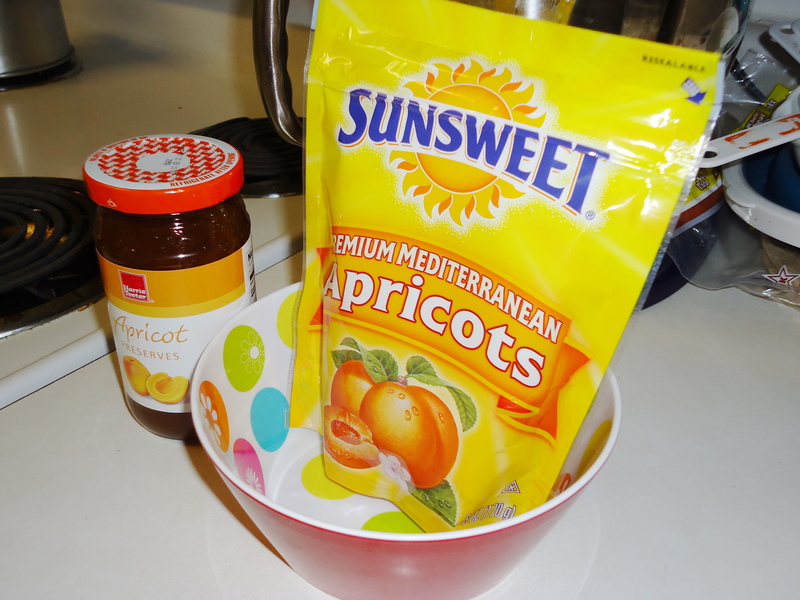 I found this recipe of hers and had to try it because I’m going through a serious apricot phase. Preheat your oven to 350 degrees. Spray a 9 by 13 by 2-inch baking dish with vegetable oil cooking spray (I clearly used the butter spray). Afterwards, line the bottom and sides of the dish with parchment paper. Spray top of the parchment paper with the cooking spray and set aside. 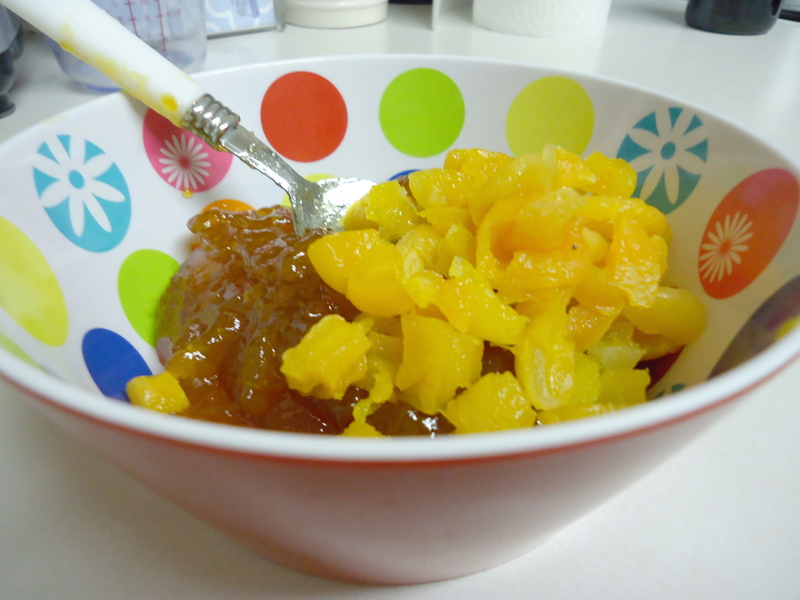 In a small bowl, mix together the apricot jam and the chopped apricots. Set aside. In a large bowl, whisk together the flour, sugar, cinnamon, salt and baking soda. 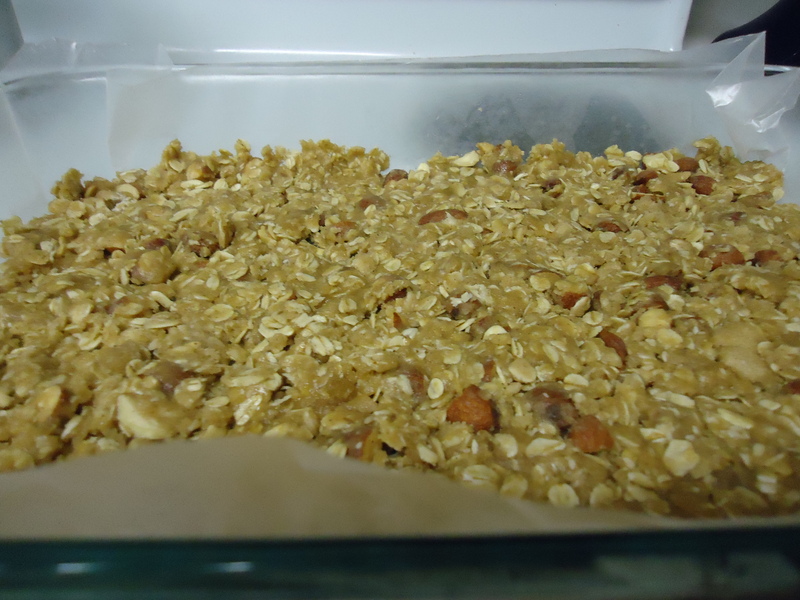 Stir in the oats and chopped almonds. Finally, add the butter, egg and vanilla and stir until incorporated. 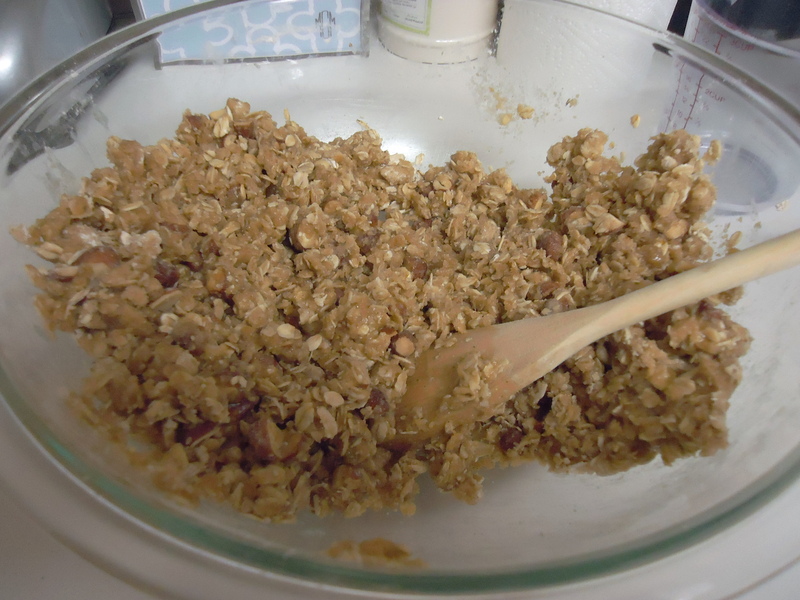 Using a fork or clean fingers, lightly press half of the crust mixture onto the bottom of the prepared pan. Using a spatula, spread the filling over the crust leaving a 1/2-inch border around the edge of the pan. 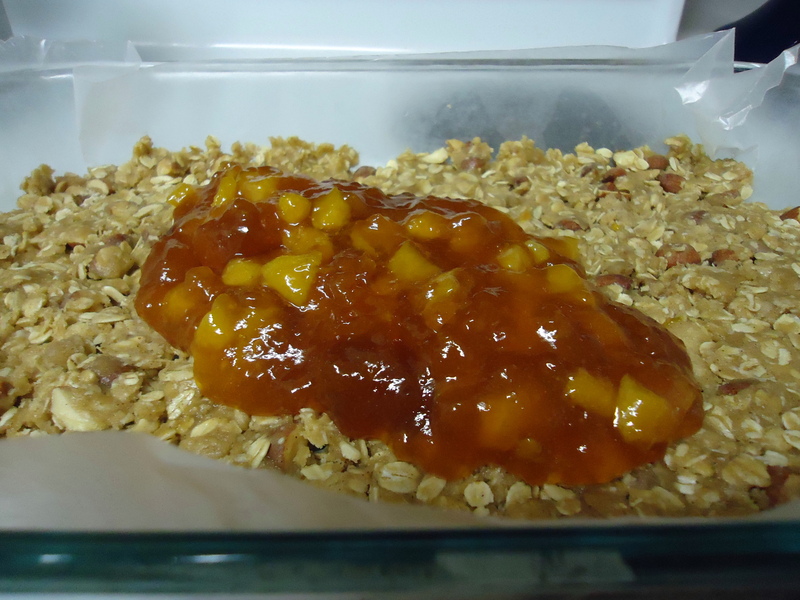 Cover the filling with the remaining crust mixture and gently press to flatten. Bake until light golden, about 30 to 35 minutes. Cool for 1 hour if you can wait that long. Cut into bars and store in an airtight container for up to 3 days. Giada is a culinary genius and she’s done it again! 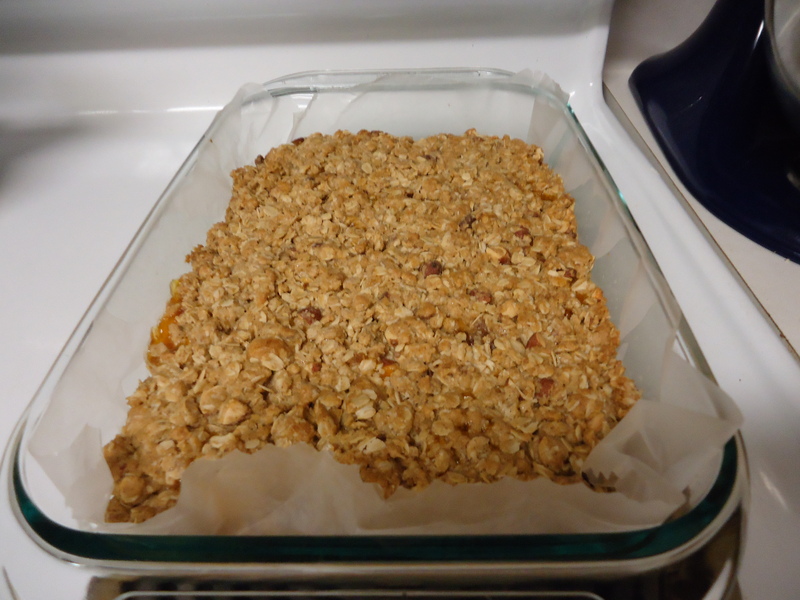 These simple and Easy Apricot Oat Bars are delectable. I guarantee they will be gone in a flash since they are perfect for breakfast, lunch and dessert. If apricots aren’t your thing (who are you?! ), you could substitute raspberry jam. These bars would probably also be delicious with a baked cinnamon apple filling. Enjoy!